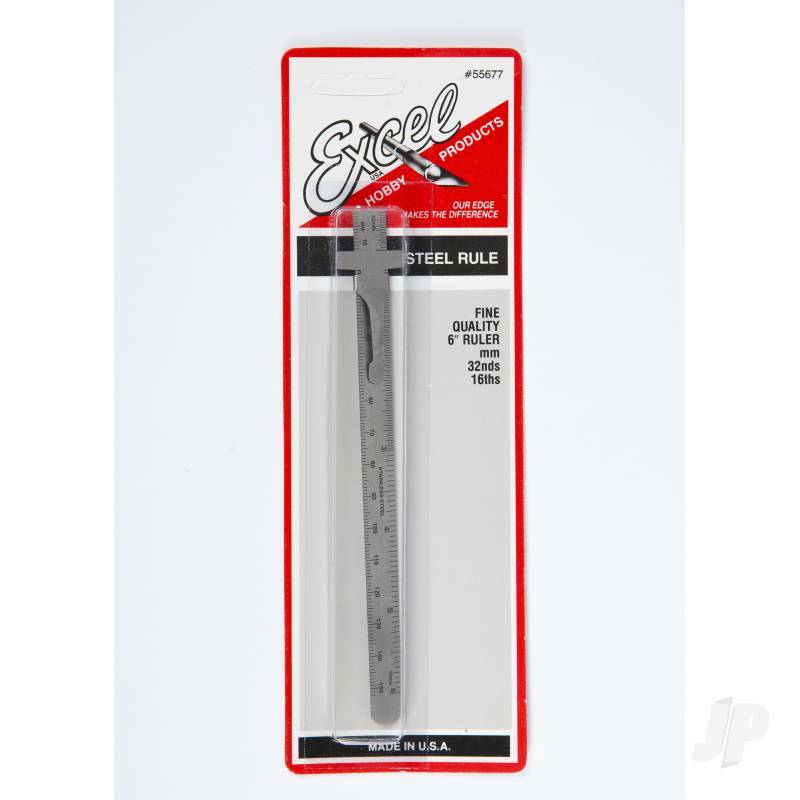 Includes on six inch stainless steel ruler with pocket clip. 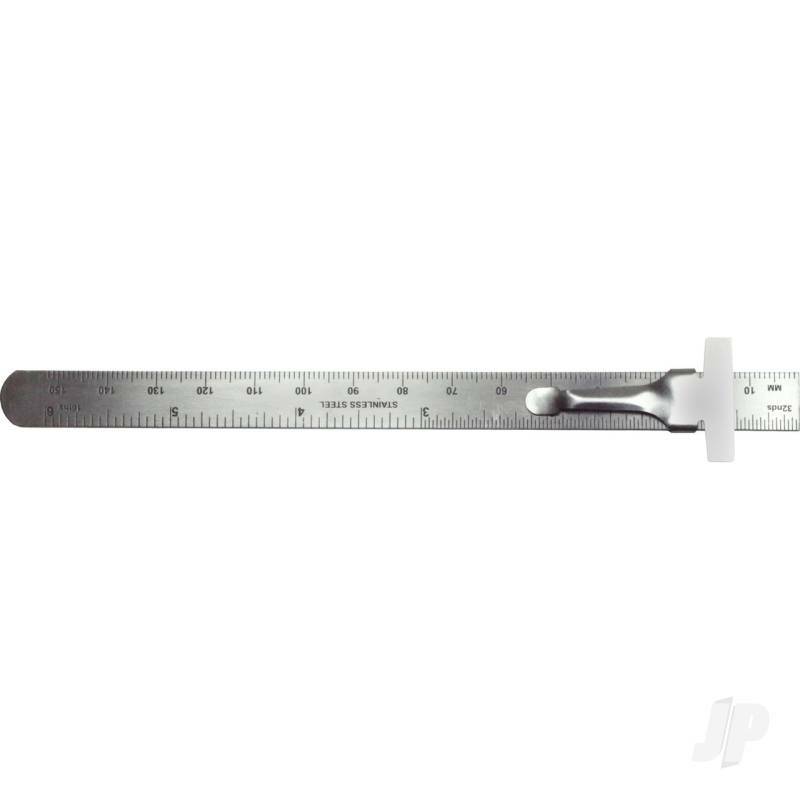 Six inch stainless steel ruler. Double sided with 32nds, 16ths and mm on front and decimal equivalents on back. Includes a handy pocket clip with depth gauge.